Who the heck is Chris Kankelfritz? For the last year Joanie has been working on her family tree through Ancestry.com. Her drive to find her paternal grandfather has taken hours, nay, days or even weeks of searching on the computer. 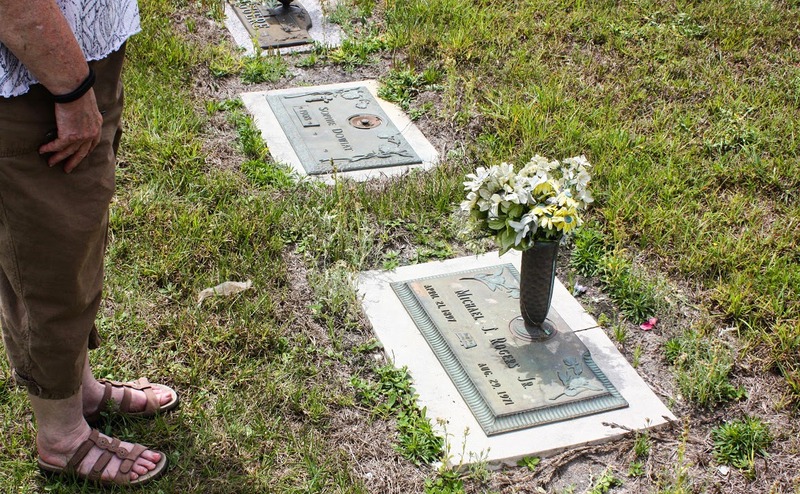 Indeed our trip to Kissimmee was to search local records and find where her grandfather was buried. 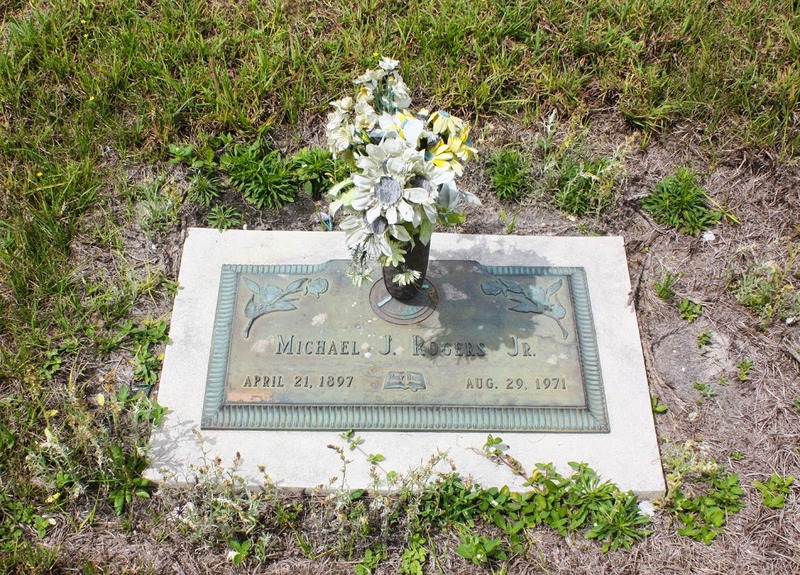 We made some calls and visited a funeral home and found Michael John's grave. The dead ends and wrong turns of doing these searches is frustrating, to say the least. Joanie finally broke down and paid for her grandfather’s official death certificate from the state of Florida which has opened the flood gates of finding relatives and brought some relief to the frustration. Many of the relatives we are now finding, we knew about already but who the heck is Chris Kankelfritz? In Ancestry.com when you make a connection to a relative, anybody else who has made a connection suddenly are displayed. Because we learned about dead ends and wrong turns, we know that many connections may have been made in error by other searchers on Ancestry.com. You have to spend more time on Ancestry.com to clean the leaves out of your tree that blew in and don’t belong there. I’m starting to think Ancestry.com has a racket going on here. I have also learned that US census takers were not very tenacious for ascertaining accurate records; that people who gave the census workers the information made stuff up and that the givers and takers create dead ends by not spelling very well. For example, Joanie has been searching for her grandfather Michael John Rogers. There were times it was spelled ROGERS or RODGERS and Michael John seemed to be OK with either. We ran across some information that Irish members of the Church of Rome (Catholics) preferred ROGERS while Irish Orangemen (Protestants) preferred the spelling RODGERS. We are still not too sure of this. If you know anything about the history of Ireland you know that the steamy emotions leading up to the Irish fight for independence continue to this day especially in Northern Ireland. Census information, draft records and military records, and all kinds of public records allow us to start to put a life story together. 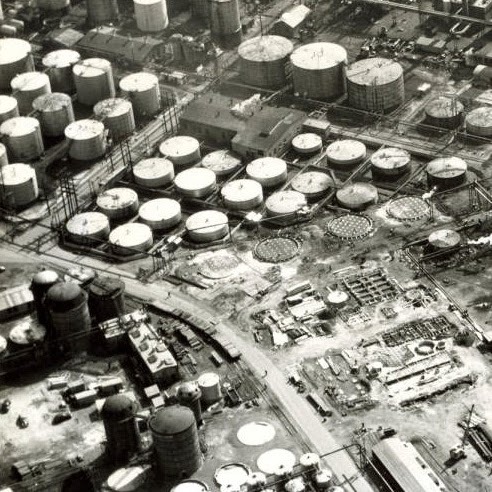 Joanie found records that her grandfather worked for Tide Water Oil Company, Bayonne, NJ in the 1920's. He worked and retired from the oil company as a locomotive engineer that the company used in their large refinery. It was only a couple miles of track but still one cool job! The next time we get together with family, we will have some interesting stuff to chew. And who is Chris Kankelfritz? Just a leaf blowing in the wind?